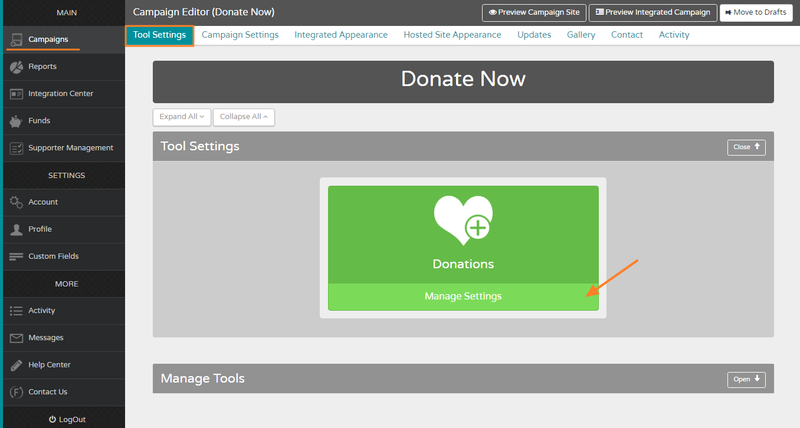 To edit the tax deductible settings for your campaign, go to Campaigns > Edit This Campaign > Manage Settings. 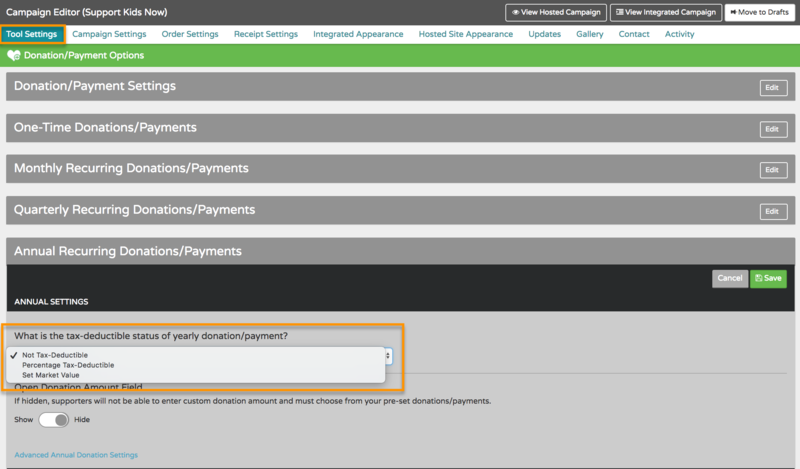 Click the Edit button next to the Donations/Payments frequency (One-Time, Monthly Recurring, Quarterly Recurring and/or Annual Recurring) featured in your campaign. From here, you can set the tax-deductible status for campaign donations. From the dropdown menu, you can choose to set the tax deductible status as "Not Tax-Deductible." Then hit Save to apply the settings to all future campaign contributions. Complete these steps as necessary for all donation frequencies (One-Time, Monthly Recurring, Quarterly Recurring, and/or Annual Recurring) featured in your campaign. Follow the steps above and then select "Percentage Tax-Deductible," from the menu. This will let you edit how much of the donation is tax-deductible up to 100%. Don't forget to click Save, and your changes will be reflected in your campaign for all future transactions!